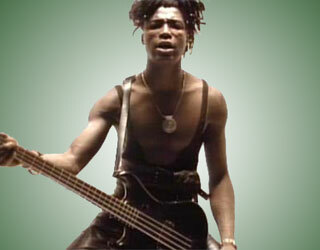 Seal Biography, Discography, Music News on 100 XR - The Net's #1 Rock Station!!! Born in London, ENGLAND, on February 19, 1963, to Brazilian and Nigerian parents, Sealhenry Samuel started playing music in the mid-'80s with some Soul-oriented bands, but he had the first big break in 1990. That year, he contributed lyrics to "Killer", a #1 U.K. single, recorded in collaboration with the Techno-House DJ-producer Adamski. In 1991, Seal released his self-titled debut album, with Trevor Horn producing, the record quickly grabbed critical and commercial success in U.K. and the rest of Europe; the single "Crazy" gave him enormous popularity, in the U.S. the now-staple song reached the #5 slot on The Modern Rock chart and #7 on The Billboard Hot 100; "The Beginning", another smash single, followed and eventually the album peaked at #24 on The Billboard 200 chart selling 3 and a half million copies worlwide. In May 1994, the singer + songwriter issued his second album, also entitled "Seal", it reached the #15 position on The Billboard's Top 200 chart and included "Prayer For The Dying" which shot to #3 on The Modern Rock Tracks. The LP had been on shelves for more than a year, when "Kiss From A Rose" was used as the soundtrack theme for the film "Batman Forever" going at the top of The Billboard Hot 100, subsequently spent nearly a year on chart and helped pump album sales to multi-platinum in the States, reaching 5 million copies around the globe; another single, "Don't Cry", hit the top 5 of the American Adult Contemporary chart. "Kiss From A Rose", was a big winner at the 38th Annual Grammy Awards in 1996, the track was named Record Of The Year, Song Of The Year and Best Male Pop Vocal Performance. In late 1996 Seal contributed his version of Steve Miller Band's "Fly Like An Eagle" to the soundtrack of "Space Jam", this single was another Billboard's Hot 100 top 10 hit for the artist. "Human Being" appeared two years later, his third effort peaked at #22 on the U.S. Top 200 Albums chart; although it was critically well-received, sales were disappointing; the title-track was the lone single off of the album, but it failed to chart. Seal resurfaced after five full years with a new album, "Seal IV"; the first single "Get It Together" topped the Dance charts, "Love's Divine" became a top 3 on Adult Contemporary chart pushing the album to #3 on The Billboard Top 200 chart, his best chart-placing to date. In November 2004 he released a retrospective collection entitled "Best 1991-2004" available in a single-disc version and as a double-disc set, the latter of which contained a CD of all acoustic version of Seal's best songs; the sets includes his rendition of the Bacharach/David classic "Walk On By". 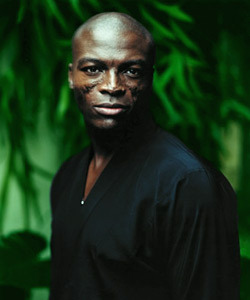 In November 2007 Seal released a new album of original material, the dance-driven "System", which failed to match its predecessors' commercial success stalling at #37 in U.K. and at #35 in U.S. however, the lead single, "Amazing", peaked at #1 on the Billboard's Hot Dance Music/Club Play chart. "Soul" followed a year later; it is the artist's first album that features all cover songs; the 12-track set debuted at #12 on The Billboard 200 and at #11 on the Top Canadian Albums chart.